CodeIgniter is a powerful PHP Framework with very small footprint that is used for an Application Development Framework .CodeIgniter is used to build web sites. The goal of CodeIgniter is to enable developers to develop projects much faster than they could, if you were writing code from scratch. It enhances the performance of the project. CodeIgniter provides a rich set of libraries for commonly needed tasks while development. CodeIgniter provides services on your project by minimizing the amount of code needed for a given task of project. CodeIgniter is flexible enough that never follows restrictive coding rules . It offers simple solution for complex application. CodeIgniter is small, simple and decorated to create full-featured web application. It is most secure that prevent application from unwanted attacks , malware and virus. It follows object oriented programming style to achieve desired results. InstaaCoders provides high security to your CodeIgniter web development project. Our young , energetic developers follow MVC pattern for CodeIgniter framework web App development. We have senior real time experts working on CI framework . 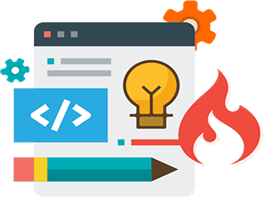 we are knack to deliver best CodeIgniter web development project. We develop corporate applications for codeIgniter project. InstaaCoders develop web portals with PHP CodeIgniter and MySQL. We provide PHP CodeIgniter website maintenance and up-gradation services.